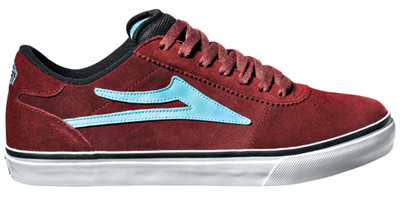 Just arrived from Lakai Limited Footwear, the Manchester Select in a brand new Holiday colorway– Burgundy Suede. Featuring flexible vulcanized construction, tacky gum rubber outsole, durable suede upper, form fitting upper for increased board feel, and full length shock absorbing insole. Not pictured, but also available in Blue, Purple, Black, “Mo Knows” Black, Red, and Recycled color ways. A classic design featuring a suede upper and super grippy vulcanized out sole that’s ready to shred right out of the box. 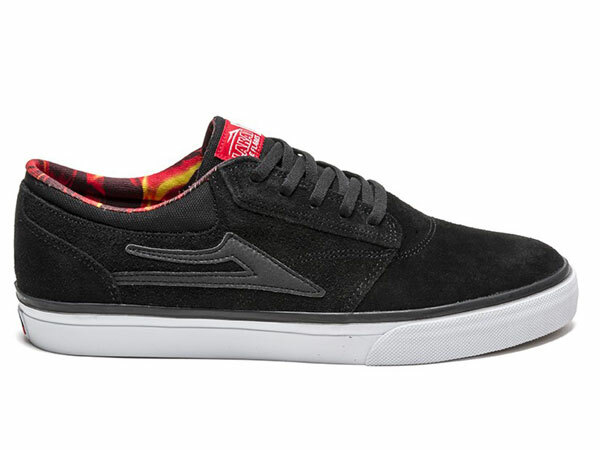 This is our top selling shoe from Lakai for a reason. Beware the flare! These an other great styles available in store, or BUY NOW in our online shop. Super hyped on this one! Brand New Lakai Footwear Weather Treated Pack Marc Johnson, MJ All Weather Mahogany Oiled Suede now available in-store and online. Features slim, understated, lightly padded weather treated upper to combat the elements affixed to the popular Lakai Griffin outsole. Signature MJ minimal style! Click the photo below to have a closer look or to purchase in the online shop. 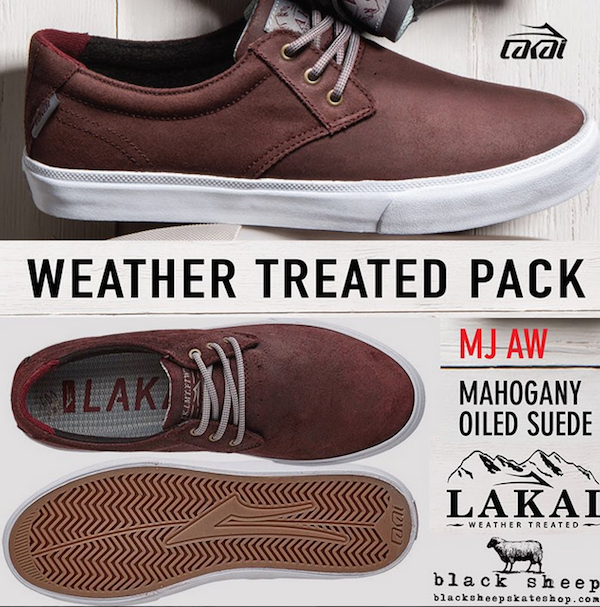 Lakai Footwear Weather Treated Pack Marc Johnson professional model, MJ All Weather Mahogany Oiled Suede features slim, understated, lightly padded weather treated upper to combat the elements affixed to the popular Lakai Griffin outsole using 2-piece foxing tape construction for added support and durability . The first piece creates a textured top line with the second piece adding toe bumper and smooth sidewall. A split collar construction adds detail and improves heel lock. The finishing touch is the moled EVA insole that pairs nicely with crated midsole for maximum comfort. Signature MJ minimal style. 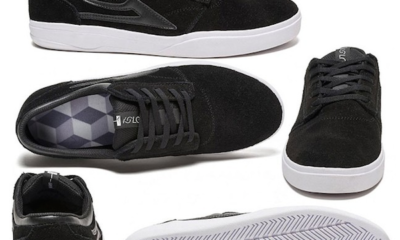 Checkout this brand new style from Lakai Footwear, the Lakai Griffin XLK (Black/ White) x Nick Jensen “Isle Skateboards” features classic styling and updated technical features for added comfort and durability. 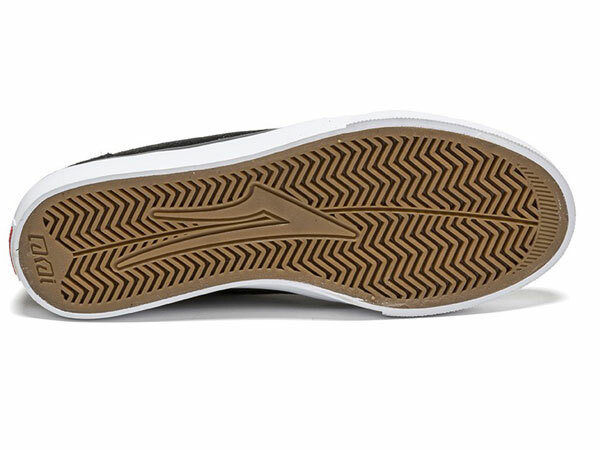 Lakai Footwear redesigned Griffin featuring signature XLK performance cup sole for high impact protection with herringbone tread pattern and Equa Form mid sole for comfort value above traditional lasting designs. Colorway is a collaboration with Isle Skateboards for Nick Jensen. New Spitfire Wheels x Lakai Footwear collaboration in store and online. Live to burn, ready to shred right out of the box. Select mens sizes available while they last. Click shoes below for more info and to purchase online. 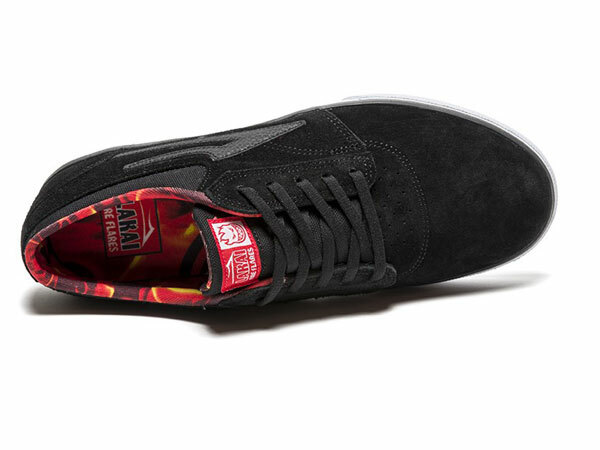 Lakai Griffin Spitfire (Black Suede) — Lakai Limited x Spitfire Wheels low top skate shoe with premium suede upper. Features clean toe constuction with seamless vamp and perf detail to increase breathability. Hidden midsole crating for shock absorption and comfort. Custom Spitfire flame interior lining, co-branded woven label tongue detailing and heel detail. More Lakai Footwear available! Stop by the store and try a pair on or select the Buy Now button below to view the full collection in our online store. Fast shipping with the same great service, and now offering FREE SHIPPING on all order over $79* — simply select UPS Ground as your method of shipping and the discount will automatically apply or use promo code FREE79 at checkout. Log on and shop now.